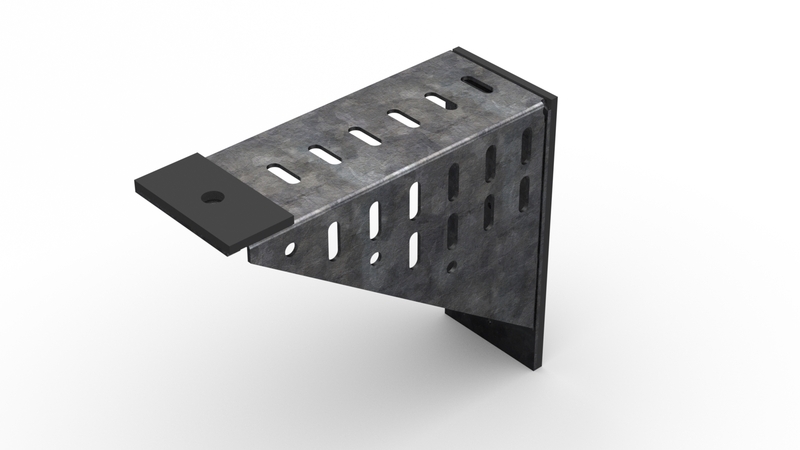 The SLT-Clip is a framing clip that minimizes and reduces thermal bridging caused by wall assemblies and their components. Designed and manufactured by Sobotec Ltd., the SLT-Clip has been tested by Morrison Hershfield and Intertek for its engineering and performance. The SLT-Clip attaches to all building substrates and can be used with several types of insulation. It comes in a variety of sizes, and also allows for both vertical and horizontal installations and can be applied to new or retrofit projects. When compared to other thermal clips, our SLT-Clip stands out as one of the most cost-effective and economical options on the market today allowing wall assemblies to meet and exceed ASHRAE 90.1 energy-efficiency goals. 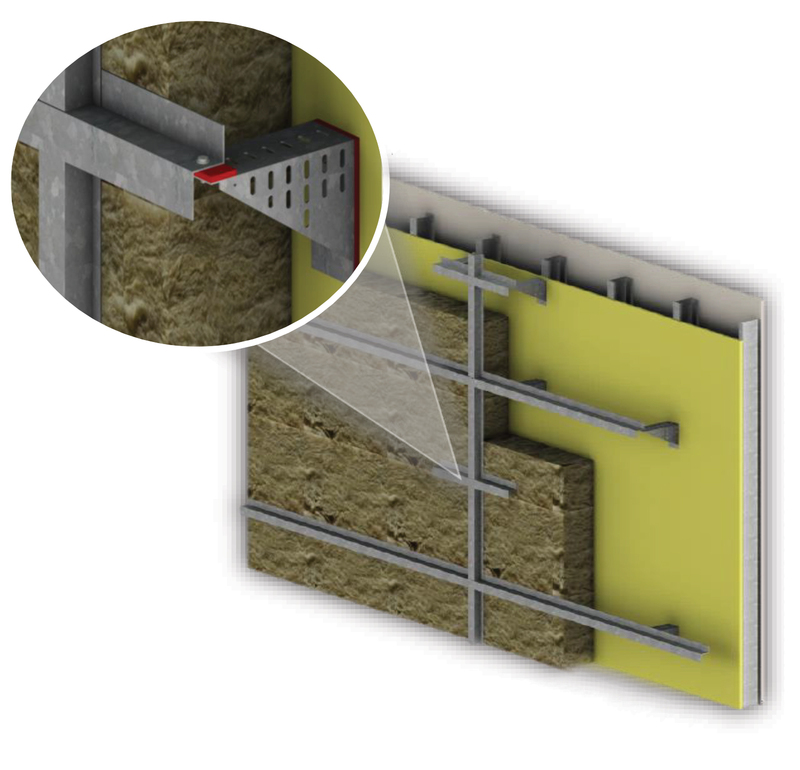 The SLT-Clip provides a significant thermal break between framing assemblies for continuous insulation systems. The SLT-Clip allows the maximum R-Value of the building’s insulation to be realized by creating an insulated buffer between conductive components. The SLT-Clip is made out of heavy duty Galvalume™ which has proven performance as a superior building material. Galvalume™ is the proprietary name for galvanized steel that has been finished with a patented alloy coating composed of 55% aluminum and approximately 45% zinc by weight. This unique combination provides the extended durability of aluminum and the galvanic protection of zinc. Additionally, it has exceptional corrosion resistance that is more than two-times that of galvanized steel. Understanding all aspects of design, engineering and the construction process, Sobotec’s SLT-Clip provides superior cost and performance benefits. The SLT-Clip was developed on sound engineering principles with proven real-world performance and testing. Architects and engineers now have the assurance and certainty to specify a high-performing product that achieves their design and energy-efficiency goals. The Sobotec SLT-Clip meets and exceeds ASHRAE 90.1 standards. This is achieved by creating a thermal break as an intermittent structural attachment for cladding projects requiring continuous insulation systems. For an optimized thermal break, the SLT-Clip has a thermal separator which acts as an insulated buffer assisting in the reduction of thermal bridging at the clip. 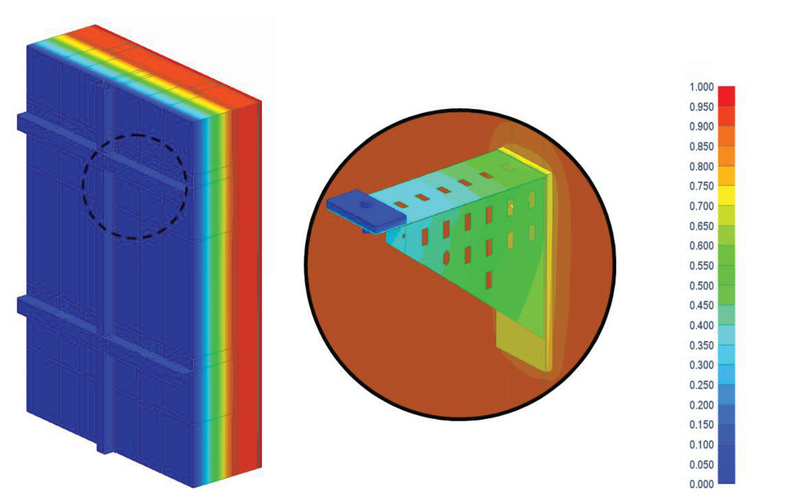 This ultimately results in better thermal performance by reducing thermal transmission through the insulated wall assembly as analyzed and tested by Morrison Hershfield Building Envelope Consultants. Further testing by Intertek shows that the SLT-Clip is engineered for all specific structural, and building load requirements. It is also non-combustible and has the durability to withstand the elements such as wind and snow. Made exclusively in North America by Sobotec Ltd.
Sobotec’s SLT-Clip installs quicker and easier than other thermal framing clips on the market. Simply anchored in place with fasteners, the SLT-Clip installs on all building substrates and structures such as concrete, steel studs, wood and masonry. It can also be used with several types of insulation. Engineered with a universal design for continuous insulation systems, the SLT-Clip supports industry standard wall-cladding systems and is also available in custom sizes. For adjustments or alignment, the SLT-Clip has multiple slots that also assist in providing effortless fastening and attaching to the horizontal z-girts or vertical hat tracks which support the rain-screen cladding systems.